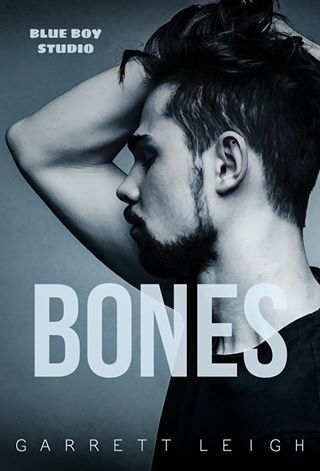 This entry was posted in Book Giveaways, Book Reviews, Book Tours and Contests, Books, Contemporary fiction, eBooks, LGBTQ Book Reviews, M/M Book Reviews, M/M Contemporary Fiction, M/M Fiction, m/m holiday stories, M/M Romance, Uncategorized and tagged #newbookrelease #Crossroads #giveaway, @Garrett_Leigh, Crossroads (Skins #4) by Garrett Leigh, Signal Boost Promotions. Scattered Thoughts and Rogue Words is happy to host Garrett Leigh’s Junkyard Heart tour. Thank you for such a wonderful interview. House of Cards featured Calum Hardy and Brix Lusmoore, and Kim Primrose was a part of their story. Now we have Junkyard Heart, Kim’s story. How much of that cast returns? Pretty much all of them. There’s Kim and his BFF/Ex Lena, Lee, Brix, and Calum. Plus new character Jas, and his family. It was a lot of fun to bring them all together again, and add the new faces to the mix. Since Porthkennack is such a small, ancient village with tight connections everywhere, will those be as visible as they were in the previous story? Yes. Kim is a Porthkennack native, and Brix’s oldest friend, so he has the same connections and links that Brix had, as well as some unique to him. For example, much of the furniture that comes out of his woodshop is made from materials scavenged on the beaches. What draws you to write where such a location is as much a character in the story as Porthkennack is? I was super excited to be invited to write for the Porthkennack series. I’ve never written about a location such as Porthkennack, and unraveling its mysteries was a complex task, especially when there were four other authors to consider. Pulling all our ideas together was awesome. Would you or do you live in such a small tightly woven community as Porthkennack? If you don’t, would you like too and why? If not, why? I like the idea of a tiny community like that, but I don’t think I’d want everyone knowing my business! That being said, Porthkennack turned out to be far more diverse and welcoming than you might imagine of a small English town. When you write a character such as Kim who’s a carpenter, how much research do you do into his profession? Or the professions of all your characters? Or does sometimes it work in the reverse? You get interested in a profession and then assign it to a character? My partner is a jack of all trades, so the carpentry thing wasn’t too hard. He’s also a pro photographer, so that was Jas covered. I usually to pick professions that I have a good knowledge of beforehand. I worked as a chef for many years, and know a lot about tattooing. My brother was in the military, and I know a lot of nurses who work in various hospital departments. I think it’s a dangerous game to set a book in a profession/location that you know nothing about, and getting bogged down in research can really affect your word flow. How many more stories do you intend to write in this Porthkennanck series? No more, I’m afraid. To the best of my knowledge, the Porthkennack series is complete. This entry was posted in Book Reviews, Books, Contemporary fiction, eBooks, LGBTQ Book Reviews, M/M Book Reviews, M/M Contemporary Fiction, M/M Fiction, M/M Romance, Riptide Publishing and tagged #newbookrelease #giveaway, @Garrett_Leigh, @RiptideBooks, A MelanieM Highly Recommended Story and Series, author Garrett Leigh, Junkyard Heart (Porthkennack #7) by Garrett Leigh, Riptide Publishing's Porthkennack series. Scattered Thoughts and Rogue Words is happy to host Garrett Leigh today on her Finding Home tour. 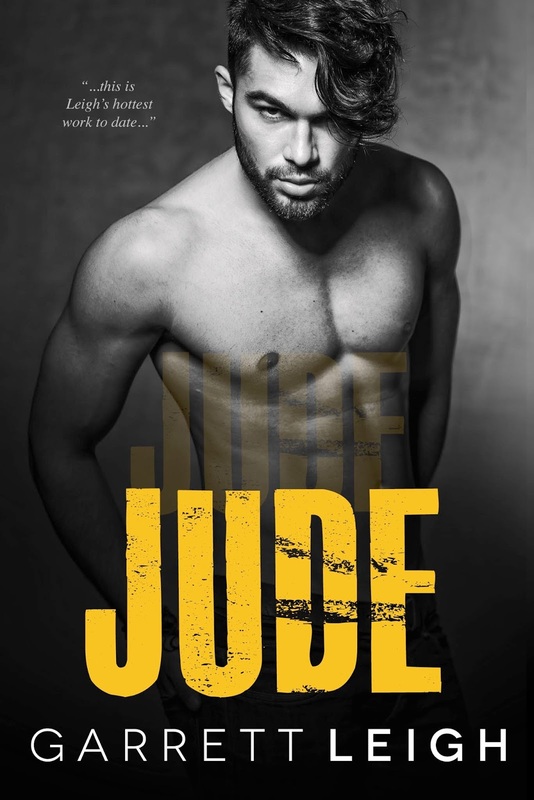 We have a wonderful interview with the author and a giveaway to enter. Neither are to be missed! You write so movingly and here there’s the main element of foster children, a gutwrencher of a topic. What prompted this element? I was actually inspired to write Finding Home by a documentary I saw on BBC3 a few years ago. Ironically, I can’t remember much about it now, but I found the notes it prompted a year later, and the story was still there. How much research did you have to do for this story and characters? Not nearly enough at first. I had the characters down because they were very dear to my heart even in the early stages, but after checking with some sensitivity betas in the foster care system, I realised that I still had a lot of work to do. Assumptions I’d made didn’t ring true anymore, and there was some significant rewriting. Was there ever a time you thought that you were getting too emotional as you wrote or is there such a thing? There is never such a thing. If I don’t connect with my characters, I’m wasting my time. What makes you decide to go down this particular narrative path? Originally, the story was told entirely from Leo’s POV, but Charlie had far more to say than I realised, so the dual POV came naturally. Is there something special you would want the readers to know about this story? I wrote it for my daughter. I’m not usually drawn to young adult books but this one calls to me. What is different about this book from other young adult books? I think perhaps that it’s told in third person, rather than the first person/present tense we’re used to in YA books. I enjoy books like that, but I wanted this book to be a little more reflective. How old are Leo and Lila when they’re put into foster care? Fifteen and five, though Lila has turned six by the time we meet her. I get the feeling that Leo’s journey through this book will be heartbreaking. Will he fight letting Charlie in or welcome it? Without giving too much away, Leo doesn’t have much left to fight Charlie with. And he doesn’t want to. Charlie is sweet and kind, and wonderful, and despite all Leo has been through—is still going through—he knows what a rare thing a boy like Charlie truly is. Does Charlie have his own darkness to conquer or is he the light to Leo’s dark? Charlie has his own demons, but he’s had years of stability and love to build his resilience. He had a rough start in life, and he’s quite a shy boy, but he has an emotional confidence that Leo is lacking. You’ll see what I mean when you read it. This entry was posted in Book Giveaways, Book Tours and Contests, Books, Contemporary fiction, eBooks, LGBTQ Book Reviews, M/M Book Reviews, M/M Contemporary Fiction, M/M Fiction, M/M Romance, Riptide Publishing, Uncategorized and tagged #FindingHome, #newbookrelease #giveaway, @Garrett_Leigh, @RiptideBooks, A Riptide Publishing Book Tour and Giveaway, author Garrett Leigh, domestic violence, Finding Home by Garrett Leigh, first love, hurt/comfort. 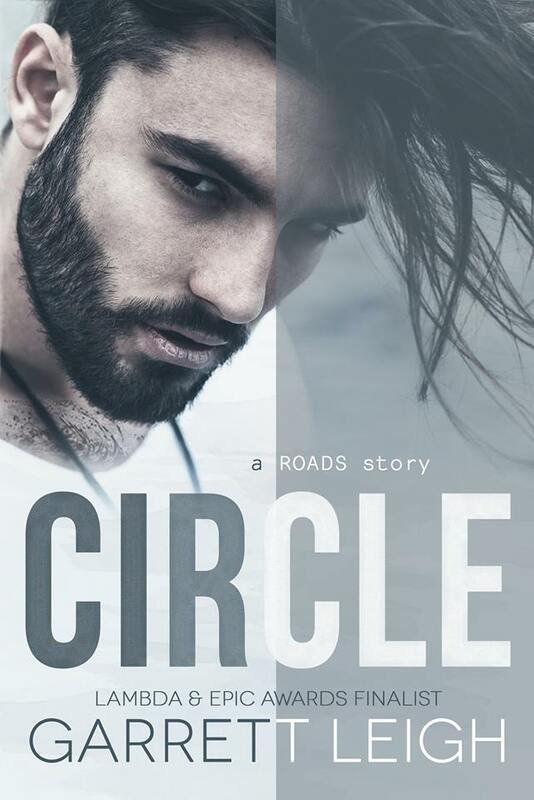 This entry was posted in Book Giveaways, Book Reviews, Book Tours and Contests, Books, Contemporary fiction, eBooks, LGBTQ Book Reviews, M/M Book Reviews, M/M Contemporary Fiction, M/M Fiction, M/M Romance, Uncategorized and tagged @Garrett_Leigh, author Garrett Leigh, Circle (Roads #3) by Garrett Leigh, Signal Boost Promotions. 1. What was the inspiration behind the story? The inspiration was the wonderful world that Alex Beecroft created for every author that took part in the project. All the books are individual stories, but there was a real sense of teamwork going on. We all contracted our books several years ago, and to see them come to fruition now is wonderful. Alex gave us magic to play with. 2. When you use various locations in a story, is it to places you have traveled or places you have researched or both? Both. I’ve never been to any of the American locations I’ve used in my earlier books, but London is very familiar to me, so it’s swings and roundabouts. On occasion, I create fictional towns too, which is always fun, for me, at least. Not so much my editors who I forget to tell, so they end up goodgling facts on a place that doesn’t exist. 3. I know so many people love a friends to lovers story which this sounds like it is…what draws you to that storyline? Relationship development is a huge hook for me when I’m writing, particularly with men who can sometimes be more reticent than women when it comes to communication. Non-verbal clues are key, and so are all the senses. I like to write warmth between my characters, and F-2-L is the perfect platform for it. 4. Is there some mystery here as well? Do you love to read mysteries too? Porthkennack is the real mystery. There’s so much to it, and more and more is revealed with every book that comes out. That being said, Brix has his secrets, and so does Calum, so yeah, I guess there is a dash of mystery. Reading wise, a mystery has to be extremely well done to keep me interested. In romance, there’s a lot of melodrama and that irritates me too much to keep me reading. 5. What is the most magical place on earth in your opinion? What speaks of home to you? Home to me is my bed with a cuppa and my whole family—furry and human—all piled in to watch Star Wars. Away from home, we have a campervan that carries its own magic wherever it takes us. We love being on the road and truthfully, we all make our own magic, right? 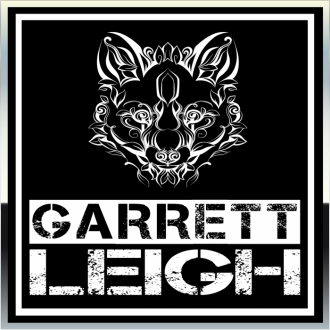 This entry was posted in Book Giveaways, Book Tours and Contests, Books, Contemporary fiction, eBooks, LGBTQ Book Reviews, M/M Book Reviews, M/M Contemporary Fiction, M/M Fiction, M/M Romance, Riptide Publishing, Uncategorized and tagged @Garrett_Leigh, @RiptideBooks, House of Cards by Garrett Leigh, Porthkennack Story from Riptide Publishing.